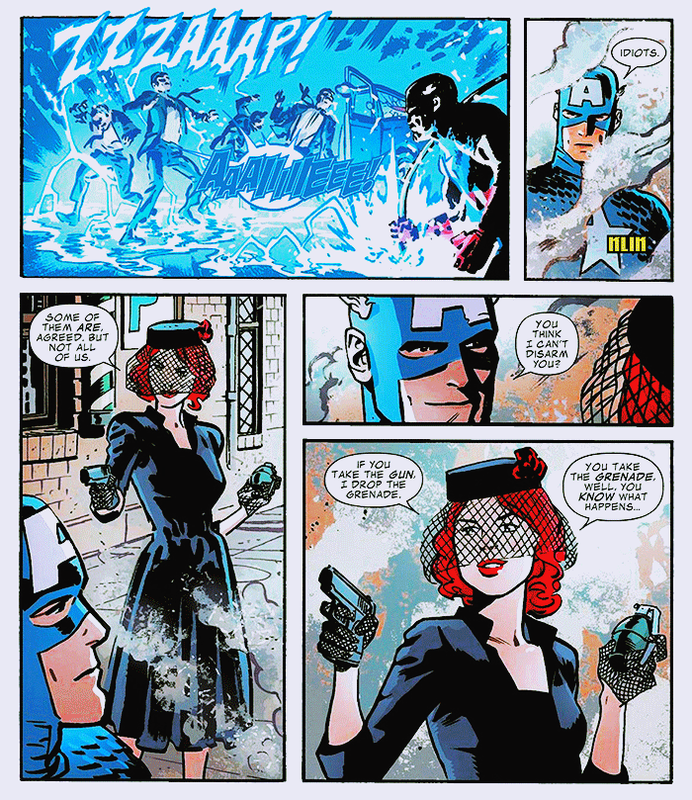 Bucky: But still no leads on finding Steve’s girl? 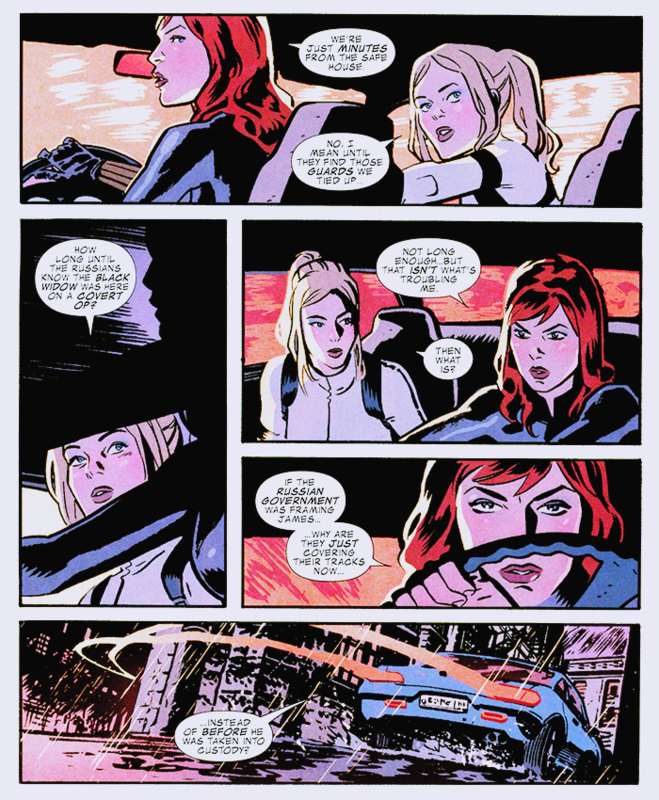 Natasha: Sharon. 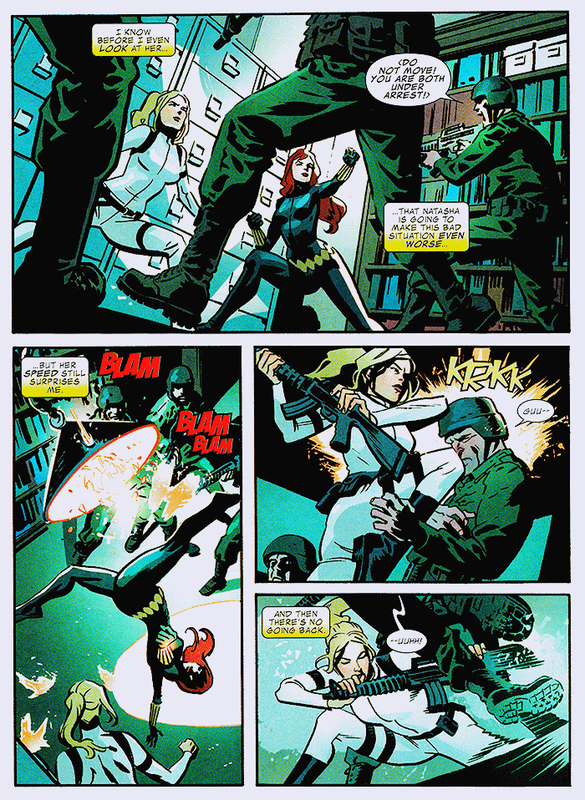 Her name is Sharon Carter. 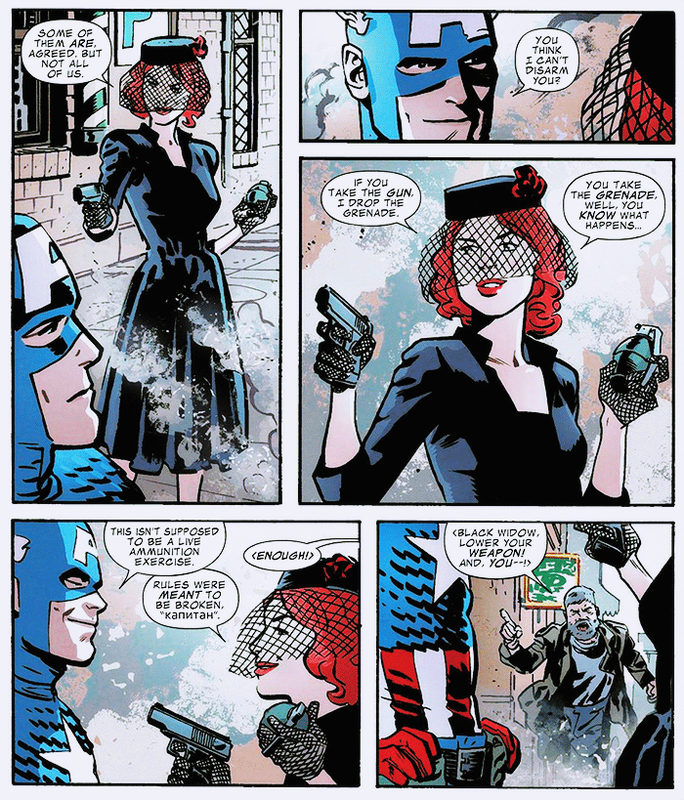 From Captain America #36, by Ed Brubaker and Mike Perkins. 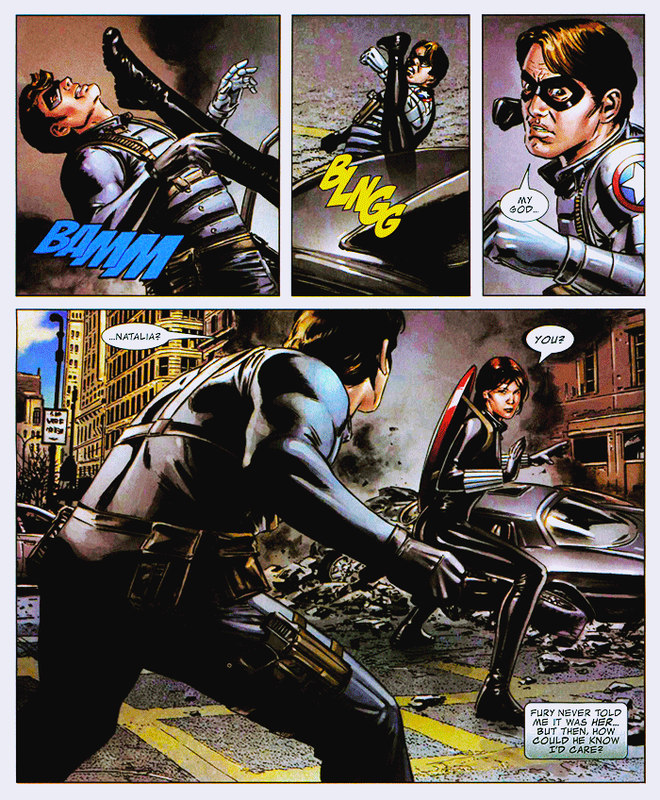 Natasha: What’s wrong with you, Matt? Is your radar malfunctioning? You could’ve gotten yourself killed. Matt: ‘Tasha. I don’t know… it’s all wrong. San Francisco… you and me… it’s wrong, all wrong. Matt: No… it’s not that… listen to me. Natasha: We could have been happy together, Matt… but I’m never more than the rebound girl, am I? So brave in a fight, yet such a coward when someone tries to touch you. To really touch you. It’s such a disappointment. From Daredevil #100, by Ed Brubaker and Gene Colan. 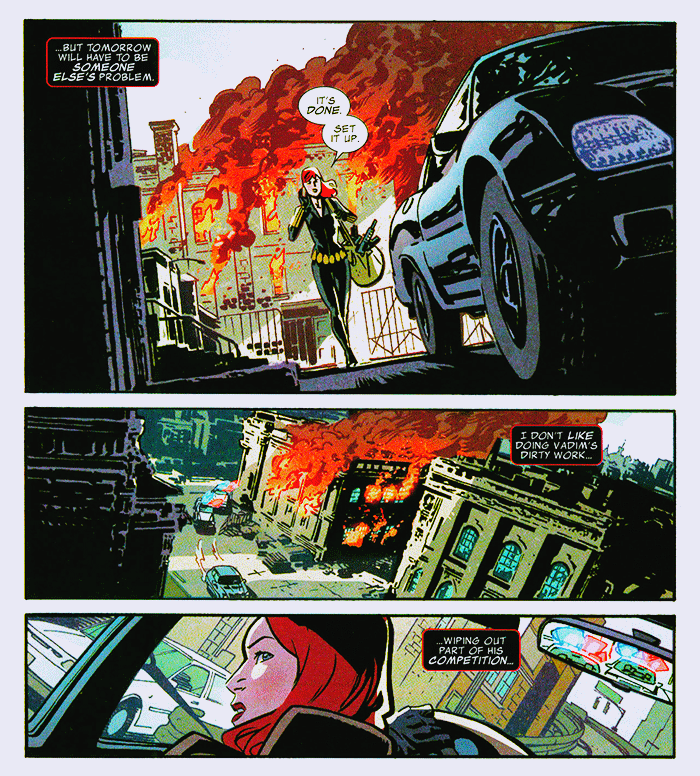 My question is: can Black Widow save herself?